Achmed Valk has been dedicated to performing, teaching and creating professional theatrical dance since his teenage years. He is a European licensed Physical Therapist and holds a Master of Fine Arts degree in Dance with an emphasis in Choreography and Video Composition from the University of California at Irvine. There, he completed a graduate level Pilates course. As a company member of the Sacramento Ballet, recovering from knee surgery, he started his intensive Pilates Training in 1986 under Patricia Whitehead at the first Dance Medicine Clinic in the U.S: the St. Francis Hospital in San Francisco. While a full-time UNLV Dance faculty member, he continued his Pilates training at the Las Vegas Sports and Dance Medicine Clinic for two years under Dolly Ridderplaat. While serving as the Ballet Master of Los Angeles Modern Dance & Ballet, he trained at the original Pilates Studio of Los Angeles/Performing Arts Physical Therapy in West Hollywood under Master Teacher, Melinda Bryan, PT, three times a week. Over the years, Achmed has attained a master teaching himself in theatrical dance, general fitness and in personalized innovative Pilates techniques to increase overall strength, flexibility, coordination, and endurance focused on individual rehabilitation and overall physical conditioning. 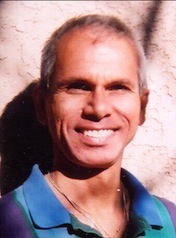 Since 1997, here in Sedona, he has served as a dance and fitness instructor at all the main resorts and fitness clubs and has directed his own dance company. In addition, Achmed is a professional Human Design and Dream Analyst, Clinical Hypnotherapist, and Tarot Mapping® Consultant. Achmed welcomes you to sample any of his offerings in the fields of his professional expertise according to your personal needs. Ikuko (“Iku” Hirano) Milton was born in Kyoto, Japan, and moved to the United States in 2008. She began her dance training at the age of 9 in modern dance and a year later in classical ballet at the Kyoto Ballet Academy (KBA). At the age of 13, she began performing with the Academy, and at 15 traveled overseas for the first time with them to perform in three cities in France. Iku graduated from KYA in 1991. That same year, she also completed her university degree in English Literature at Doshisha Women's College in Kyoto, and received certification to be an English teacher in Japan. Upon graduation, she began teaching both ballet and English at Kyoto Ballet Academy. Iku went abroad to study at the Royal Ballet School in London in 1992, completing the Teacher's Training Course there in 1993. She opened her own studio in Nagaokakyo (Kyoto) Japan in 1994, and for the next 15 years built the studio, teaching almost all classes and coordinating all performances. She worked closely with individual students in preparing them for dance competitions and for auditions for ballet schools and companies, both in Japan and abroad. Iku has danced soloist roles in Japan in The Nutcracker, Sleeping Beauty, Giselle, and many other ballets from the classical repertoire. She has also performed modern Newsletter No. 1 2010-2011, September 27, 2010 pieces and danced in contemporary productions of several modern companies in Japan. In addition to performing, Iku has produced and choreographed full productions and “digests” of individual pieces from classical ballets. In 2008, Iku received her green card through her marriage, and moved to the U.S. She and her family relocated to Pocatello in March, 2010. She continues to dance and teach dance at every opportunity. Her greatest joy is to work with younger students and help them acquire a solid dance foundation and a true love of the beautiful art form of classical ballet.